Sahara Group Talent and Entrepreneurship Programme Invitation: Applications are currently ongoing for the Sahara Group Talent and Entrepreneurship Program (STEP) for young Nigerian Graduates. Interested students can see the details and apply if eligible. What are the required knowledge and skills? What is the minimum qualification and required experience? What personality traits should you have? 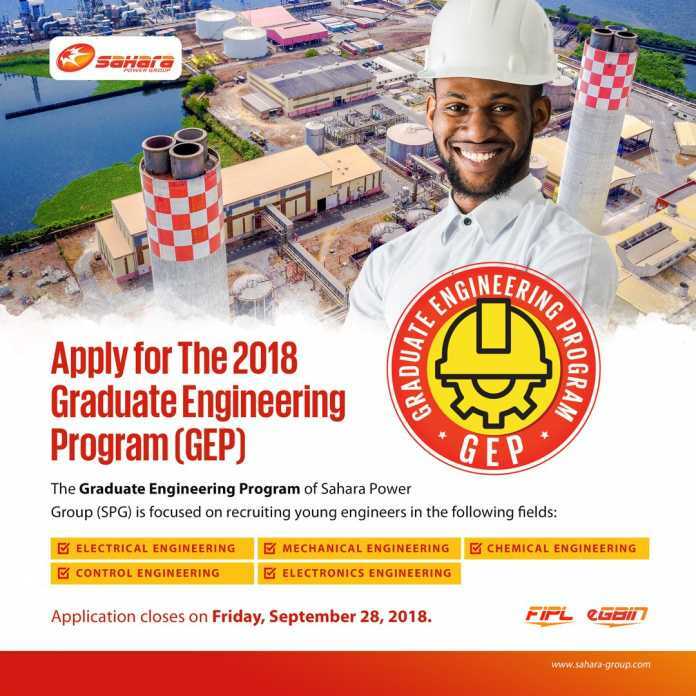 The Sahara Power Group (SPG) Graduate Engineering Programme for 2018 has started and applications are invited for suitably qualified Nigerian graduates. See the details below.